Hi there blog hoppers! This is Mel, from From the Pond. I want to share with you today, a little of my my love for puzzles! Second to books, jigsaw puzzles would be my favourite thing to buy for my classroom. You will find on Deanna's Kindergarten plans, that she loves using puzzles as an early activity in the classroom. Not only do children love puzzles, but they make an excellent activity for those first weeks at school - it will be something that is familiar to them and that they find enjoyable and achievable. I like to make simple puzzles for the classroom, by cutting up old birthday cards - particularly the ones that have numbers on them. Why not integrate some numeral identification?! Students LOVE doing these, and if you have lots of them available, you can also let your students glue them down on construction paper to take home. It is a great way of using up old birthday cards and students adore looking through all the fun pictures. I also collect lots of cards to have available for 'cutting practice'. Students in the early years at school will need lots of practice with cutting. The thickness of the card will help students with this early practice. The cards are easier to cut and manage than thin paper. They could make their own puzzle, or simply freehand cut around pictures and shapes to create a collage on art paper. Deanna and I have celebrated our love for puzzles, with an 'Alphabet Puzzle' file. 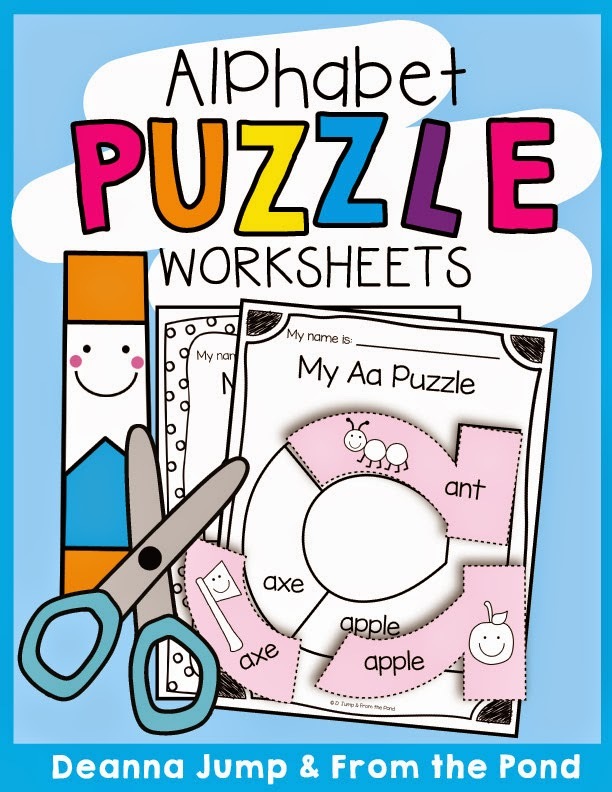 A puzzle for each letter of the alphabet is included. These can be printed, copied and used as a student worksheet activity. They will practice cutting simple shapes (consider copying on thick paper or thin card to make it easier to cut) and spatial awareness as they find the correct position to glue each piece. Students will also become familiar with the letters of the alphabet as they are exposed to words and pictures that feature the focus sound. You could also print these on brightly colored paper, laminate them, and use them as re-usable literacy center activities. We would love to share with you, a free sample! 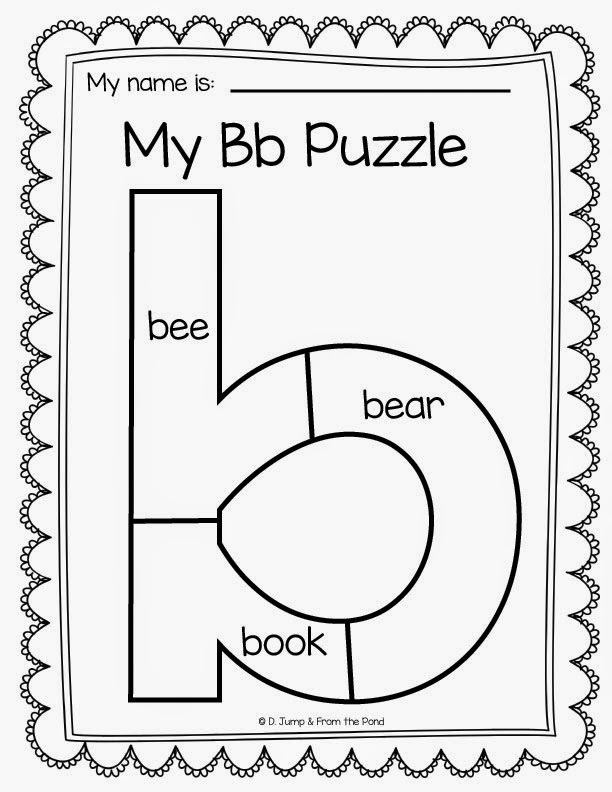 Click HERE for the free 'B' puzzle! Thanks so much for visiting Blog Hoppin'! Many thanks a lot for that in vogue(p) teachers solar day quotations. Let me let in the idea within my instructor’ohydrates twenty-four hours language. For additional educators 24-hour interval quotes you tin look into the web site.